Today’s technology is not only for the young. The digital age has brought with it innovations which aim to benefit seniors. A new age of Internet of Things (IoT) devices has made senior care better, more efficient and less costly. It aims to eliminate isolation, which has been a major concern for many years. 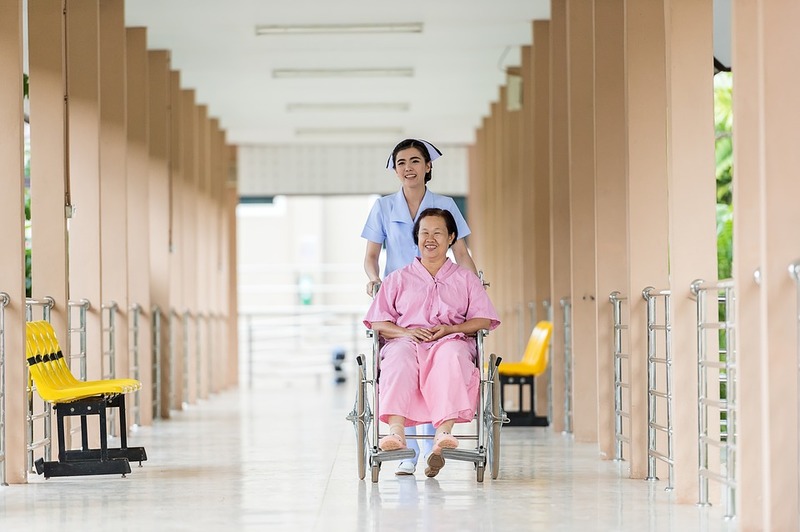 It has provided caregivers in the healthcare industry a tool to allow seniors to be more independent and remain connected with friends and family. When it comes to senior care, the IoT is revolutionizing the way seniors are living their lives. Assisted living communities are using the internet to connect and humanize senior care. Communities such as the K4Community leverage technology to make seniors’ life simpler, healthier and happier. These communities integrate IoT wearables such as watches or belt clips. They also have floor sensors that provide real-time monitoring to prevent falls and other injuries. Other types of sensors monitor heart rate, blood pressure and oxygen levels to immediately alert caregivers when there’s an emergency. To lead a healthy, active lifestyle, IoT devices go beyond the standard activity trackers. Devices are more targeted towards the individual’s needs, alerting them when to rest, whether they’re standing up or down too fast and when to give their knees a break. Food and hydration is also considered, with wearables reminding seniors when it’s time to eat and how often to drink to maintain proper hydration. When it comes to sleep, sensors can also alert caregivers whether a senior needs help getting in and out of bed. With the internet being all about connection, keeping seniors in contact with friends and family is one of the best things the IoT can provide to improve senior health. Seniors are spending more time online, using social networks and other platforms to connect with loved ones. This trend is only going to get more prevalent. Research shows that using the internet makes people happier and increases life satisfaction, especially for seniors. A study published in the Journal of Computers in Human Behavior shows that life satisfaction was much higher among seniors who use the internet than those who don’t. The ability to keep in touch and prevent the cycle of loneliness and isolation in an advanced age has done more for senior health than any medication. It is no wonder then that internet use among seniors rose from 8% to 34% between 2003 and 2012, as cited by the Journalist’s Resource. The empowerment that the internet and technology have given seniors is invaluable to their health. Such developments revolutionized the way society and healthcare providers care for the elderly. With Baby Boomers contributing to an increasingly aging population, the need for caregivers and connected assisted living communities is becoming greater than ever. In order to provide quality healthcare to seniors, healthcare is not just about technology but also about the people who provide it. Maryville University details how general healthcare workers can specialize in senior services to provide care for an aging population. Healthcare and senior care are becoming two of the fastest-growing industries. Boosted with the aid of technology and IoT devices, they provide a way to create a better quality of life for seniors, while reducing the costs of healthcare at the same time.